Chapter three of my Xenoblade novelisation. Dunban’s back! Shulk followed Dickson out of the lab. They walked together to the Central Plaza, which had three bridges leading to each of the three districts. “You’ve been making excellent progress on your Monado research, Shulk. I’m impressed,” Dickson told the teen. They reached the Central Plaza. Dickson grunted. “I’ll be seeing you, Shulk. I’ve got an old friend to catch up with. He’s started up a stall in town. Just today, in fact.” He nodded and started heading down the western bridge leading to the Commercial District. “Uh… See you, Dickson!” The older man raised an arm in acknowledgement, without stopping or turning around. 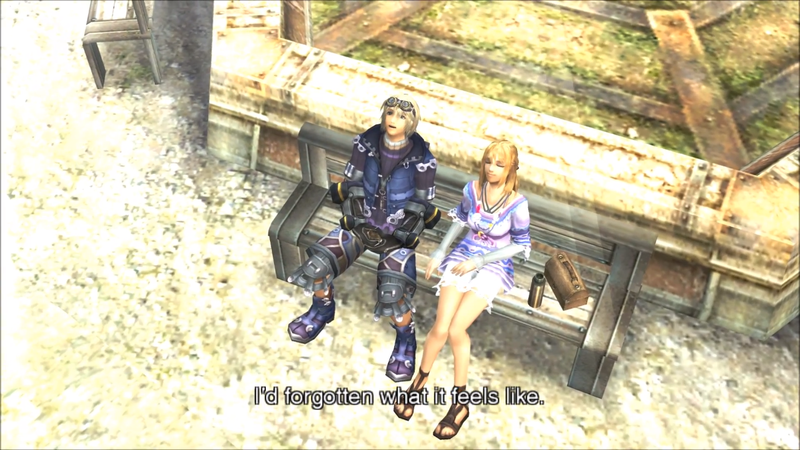 Shulk continued on his way, south towards the Residential District. He glanced over the side of the bridge that connected the Central Plaza to the Residential District. The Central Plaza and the three districts were all situated on flat beds of rock separated by water, over which was a bridge for each district. Shulk pulled out one of the gems given to him by the Gem Man and started toying with it in his hands as he walked. At the entrance to the district he saw the mobile artillery that was causing so much headache for the Colonel. It was embedded in a building and smoking slightly. A couple of soldiers were making sure no one was going anywhere near the machine. Shulk ambled through town, aiming for his favourite spot in the whole colony. He stared at the ground as he walked, deep in thought about the Monado. There are eight different layers of glass, he thought. Does that mean the Monado has eight different abilities? Shulk thought this likely. Assuming, of course, that he was correct in thinking that each layer represented its own power. From what Dunban and Dickson had told him, it seemed the Monado currently had two abilities. Buster was an extremely powerful attack which became even stronger when used against Mechon. The other, Enchant, allowed any weapon in the vicinity of the Monado to do damage to Mechon without the need to Topple it. For a short amount of time, at any rate. Shulk decided that it was probably Enchant which was more useful. I wonder if all the Monado’s abilities are specific to Mechon? 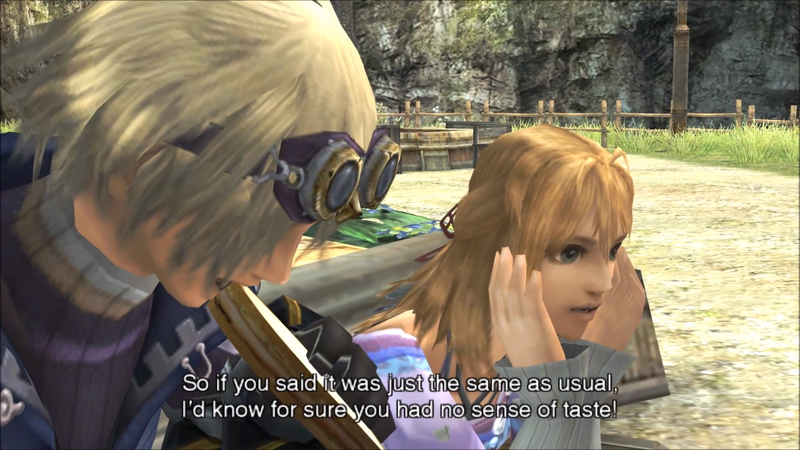 Shulk wasn’t sure, but he guessed so. The sword was, after all, famous for being able to defeat Mechon. And how would one go about activating the other six functions? 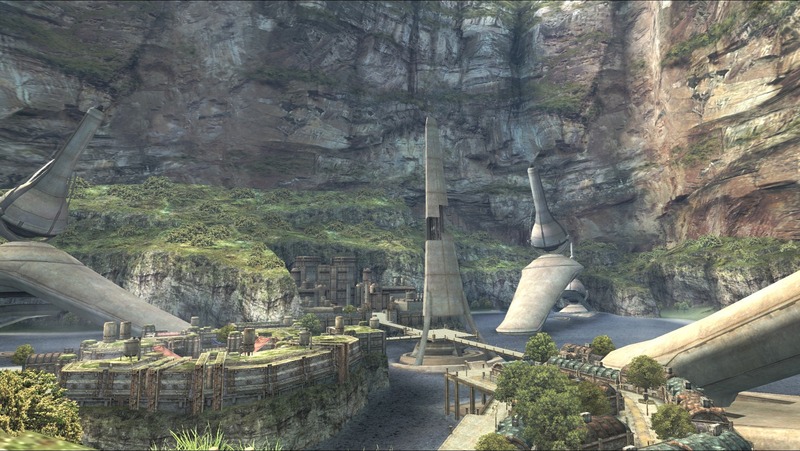 Shulk shook his head as he crossed the bridge taking him out of town. He smiled as he watched the Bunnits hopping around in the grass. Humming to himself, he turned left and leisurely made his way to Outlook Park. At his home near the entrance to Colony 9, Dunban was sitting up in bed examining his damaged right arm. She thought about it for a moment before getting to her feet. “OK.” She turned to look at her brother. 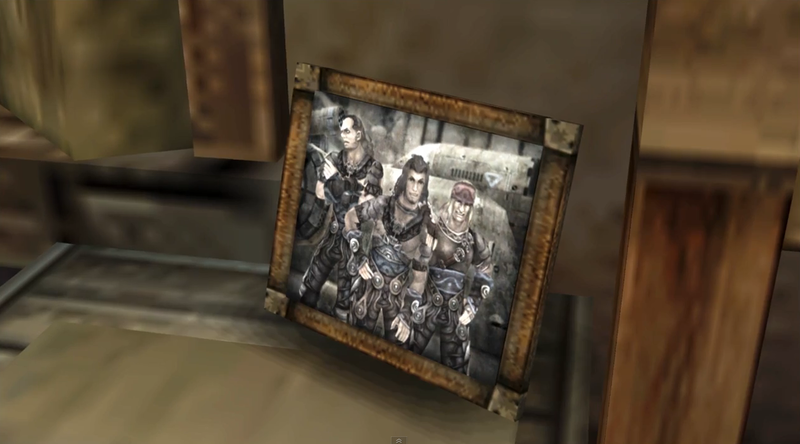 “Dunban… Thanks,” Fiora said gratefully. She left him and went downstairs. When she was gone, Dunban pulled his crippled arm into his chest and crawled across the bed to his dinner, panting. 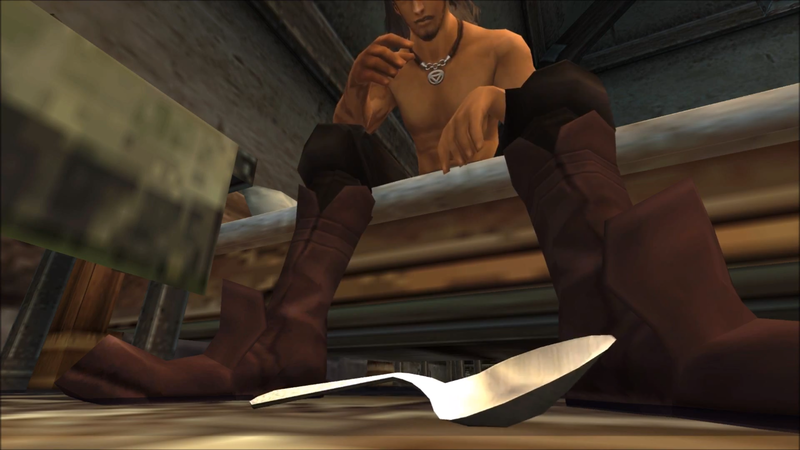 Frowning with concentration, he picked up the spoon with his injured limb. He lost his grip and it clattered to the floor. 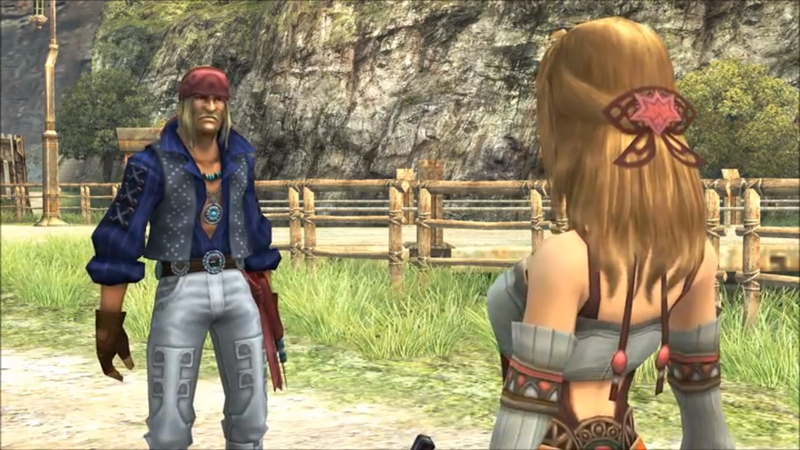 Fiora had just stepped outside with Shulk’s food when Dickson saw her. “Dickson!” She was glad to see him. “Shulk’s not there right now,” Dickson informed her. 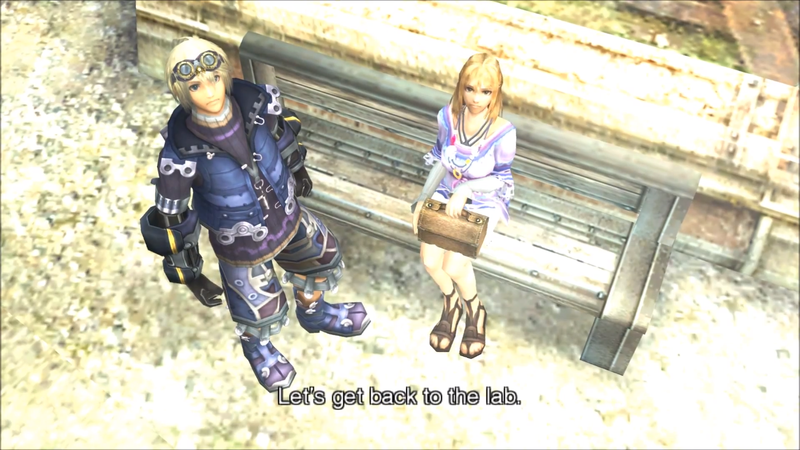 “Really?” Fiora was surprised; when was Shulk not in the lab? “Outlook Park!” Everyone knew that Shulk loved the place. “That’s the one,” Dickson confirmed with a nod. “OK.” She was glad he’d told her and saved her the extra trip. “Thanks, Dickson.” Dickson dipped his head and left, his braided hair bouncing slightly as he walked. Fiora exited the colony and turned left, heading for Outlook Park. She dodged the bunnits that hopped towards her curiously, sniffing the air. When she arrived, she found him sitting on the bench facing the colony, staring at the ground. Fiora shook her head, looking out over the colony. “Oh, nothing.” Shulk went back to his food. Fiora looked around, taking in the sights. “The breeze feels so good,” she murmured, sedate. 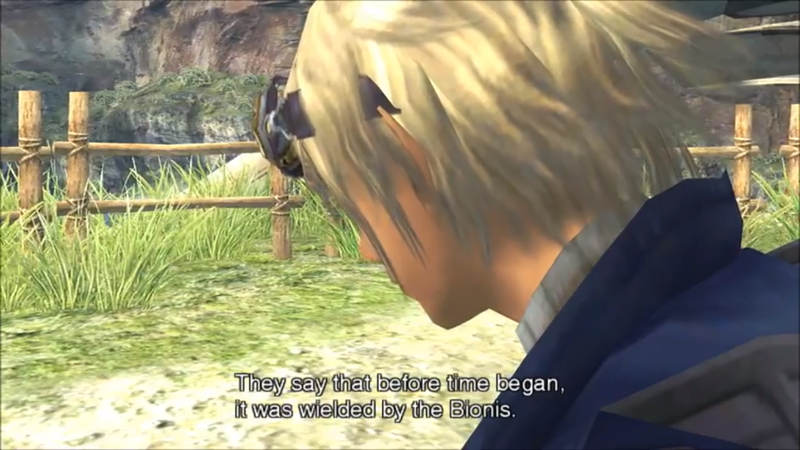 “Yeah, maybe,” said Shulk, starting to laugh. “Strange,” Fiora commented. “There hasn’t been much falling lately.” They watched as the Anti-Air Batteries fired into the air, exploding on contact with their target in spectacular fashion. “…Oh no!” Fiora began to panic. Fiora looked down at the ground. Oh, Shulk! I have this terrible feeling I said something really embarrassing. She fought to keep herself from blushing. Like I wanted to get married? Relief washed over Fiora. Yes! I think I pulled it off. He doesn’t suspect a thing. I hope he remembers one day… But for now… it’s just a bit too embarrassing! She jumped. “Oh, sure, Shulk, let’s go!” She walked with him back towards the colony.